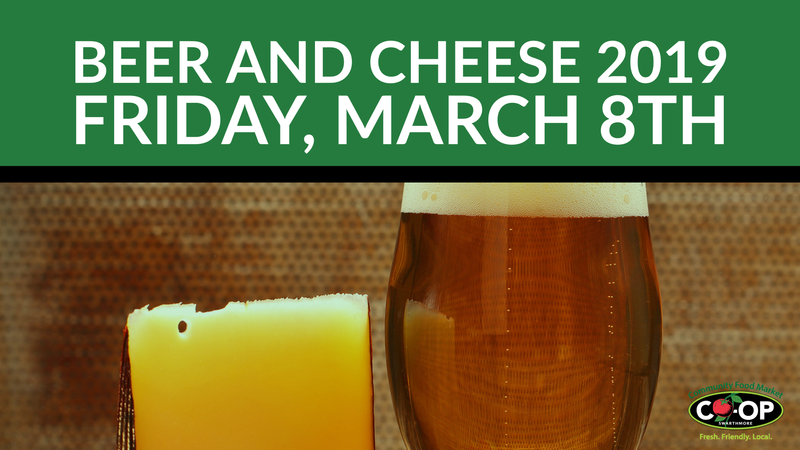 Our Beer and Cheese aficionados will move through multiple tasting stations, each with a specially-paired beer and cheese offering that represents the best of local creameries and four local brewers, Swarthmore Beer Company, Wrong Crowd Beer Company, 2SP Brewing Company, and Ship Bottom Brewery. You will also have access to experts who can provide great descriptions and information on the beers and cheeses being featured. Pre-sales for this event have ended. Feel free to stop by the CO-OP on Friday night as a limited amount of tickets will be made available at the door.